March 13 – 14: Hilton Head Island Wine & Food Festival presents Wine Knowledge Sessions, for those looking to learn more about tasting, pairing and choosing the right wines for any occasion at Sonesta Resort Hilton Head Island, 130 Shipyard Dr. 10 a.m. & 2 p.m. (843) 686-4944 or hiltonheadwineandfood.com. April 21: Join us for a lively discussion of The Boys in the Boat by Daniel James Brown. The Novel Evenings Book Club meets the 3rd Tuesday of the month. (843) 255-6525. Everyone is welcome! beaufortcountylibrary.org. Feb. 26th @ 5:30 pm – Martini Monday: a hands-on mixology experience where guests will learn how to make two specialty martinis. Relax and enjoy each martini while you snack on an artisan charcuterie appetizer. Leave with a souvenir martini glass. $25 per person. 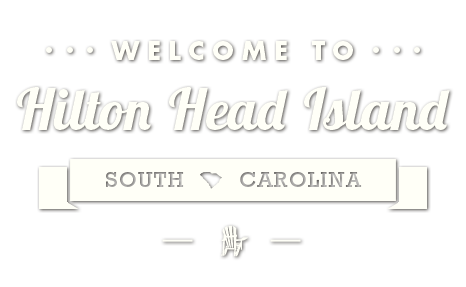 Reservations required – call (843) 686-4443. hiltonheaddistillery.com. February 21-25: Hilton Head Preparatory School presents “Les Miserables School Edition” directed by Peggy Trecker White at Hilton Head Preparatory School Main Street Theatre. Shows are Wed.-Sat. at 7:30 p.m.; Sat. & Sun. at 2 p.m. Tickets may be purchased online or at the door. 3000 Main St. (843) 671-2286 or www.hhprep.org. April 2-6: Over the years, Gregg has become a Sea Pines classic. Under the Liberty Oak in Harbour Town is where you’ll find Gregg Russell entertaining adults and children alike. His concerts are not to be missed. 7:30-9 p.m. Complimentary! Lighthouse Ln. (843) 842-1979 or www.seapines.com. Martini Monday on Monday, April 30th from 5:30-6:30 p.m. at Hilton Head Distillery. Enjoy a mixology class and appetizer for $20/person! Learn how to make TWO specialty martinis and take your souvenir martini glass home with you. Reservations required – call (843) 686-4443 or hiltonheaddistillery.com. 42nd Annual Gopher Hill Festival: “Agriculture: A Home Grown Business, The Economic Driver” in Ridgeland, SC. Pink Tub Race, Bake Auction, Pet Contest, Gopher Idol Talent Show, Fireworks, Street Dance with Fabulous Expressions and Shag Contest, 5K Run, Parade, Classic Car Show, vendors, live entertainment, kid’s activities and more. Main St. (843) 384-2055, 258-4008 or gopherhillfestival.org. 5th annual USCB Homecoming at Hilton Head Gateway Campus, Hwy 278 Bluffton, presents Eric Hutchinson. Gather with fellow Sand Shark families, alumni, community and friends to enjoy the beauty of the Lowcountry and celebrate the 5th annual Homecoming. Gates open at 5 p.m., concert 7:30 p.m. at Hargray Plaza. (843) 208-8008 or uscb.edu/homecoming. Bob Masteller’s All-Star Quintet “Celebrating the Heritage of Jazz -1900-1960- 8 p.m. The Jazz Corner in The Village at Wexford. Dinner reservations highly recommended. Music charge nightly. 1000 Wm. Hilton Pkwy. (843) 842-8620 or thejazzcorner.com. PEP’S (Programs for Exceptional People) Annual Gala at the Sea Pines Country Club, 6 p.m. Cocktail hour, silent auction, live music, dinner and live auction. Proceeds benefit Programs for Exceptional People. 10 Oak Park Dr. (843) 681-8413 orpephhi.org. Shout! Featuring Dr. Marlena Smalls and The Hallelujah Singers at Seahawk Cultural Center, 70 Wilborn Rd. There will be a reception preceding the show with the unveiling of the 2014 Gullah Celebration artist and poster. Come out and ENJOY! $25 (adults) $5 (students and military with ID). (843) 255-7034 or gullahcelebration.com. Basic Computer Skills for Genealogists presented by Carol Clemens, Heritage Library Volunteer. 1:30-3:30 p.m. Working on genealogy but lacking computer basics? This beginner’s class is intended to help you with some very basic computer skills. $25 Non-members, $20 Foundation members. Class size limited, (843) 686-6560 for registration. Salty Dog Annual Fall Festival! Sample restaurant foods & shop the booths of village stores. Carnival games, prizes, live entertainment, children’s entertainment and special appearances from Jake the Salty Dog. 12-4 p.m. 232 S. Sea Pines Dr. (843) 671-2233 or saltydog.com. Shelter Cove Harbour presents Music on the Harbour Fall Concert Series! Music by Headliners. Enjoy dining specials at seven waterfront restaurants, unique shopping & beautiful harbour views. LOCALS: come enjoy live music & great food! 6-9 p.m. Schedule of events subject to change without notice. Weather permitting. Rain dates will be announced. (843) 785-6424 or palmettodunes.com. Salty Dog Shrimp Festival & Lowcountry Boil! Celebrate the shrimp harvest with live music, kid’s fun & games, Jake the Salty Dog and Lowcountry Boil with fresh, local shrimp! 4-8 p.m. 232 S. Sea Pines Dr. (843) 671-2233 or saltydog.com. Escape from the Usual Sources presented by Carol Clemens, Heritage Library Volunteer! Want to find out your family tree? 1:30-3:30 p.m. Class fees are $25 Non-members, $20 Foundation members. Class size limited, (843) 686-6560 for registration. Dixieland Jazz Society of the Lowcountry New Orleans-Style Jazz Jam at The Jazz Corner in The Village at Wexford, 2-5 p.m. Free admission, minimum purchase for table seating. 1000 Wm. Hilton Pkwy. (843) 842-8620 or djslc.com. Lowcountry Ghost Stories, 7 p.m. Join us for an evening around the campfire within the Sea Pines Forest Preserve as we recount Lowcountry tales and spooky stories. Enjoy roasted marshmallows and a glimpse into our haunted history! $10 per person. Reservations are required, (843) 842-1979 or seapines.com.